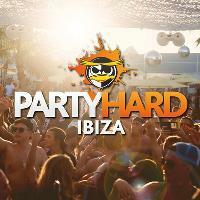 Guarantee your spot at some of Europe's best party events with the Ibiza Ultimate Events Package! Events run weekly from 03/06 until 08/09 2019! With all the events you could possibly imagine, The Ibiza Ultimate Events Package is now here! Don't miss out on the best summer of your life this 2019 with our Ultimate Events Package, including the unforgettable Pukka Up Boat Party, one of the biggest pool party in Europe, Ibiza Rocks Pool Party and the legendary Zoo Project! Buy now and ensure your spot at all of the top events in 2019 before they sell out! 2. Upon arrival in Ibiza your Party Hard Ibiza Rep will meet you at our meeting point where you can collect your Ultimate Events Package Wristband which will give you access to all events included.